Click A logo BELOW for information, specials and offers available through Travel Time! The bridal couple can decide on delicate décor details as part of Sandals’ Aisle to Isle wedding program. Spanning 450 square feet, the new chapel in Ocho Rios accommodates 40 guests and features 360-degree, panoramic water views as well as a glass floor aisle that allows couples to truly walk on water on their special day. Book YOUR Wedding Group BY Mar 31st - Receive $1000 in instant savings! Contact Travel Time for more information or to book your Wedding Group today! Best of all, this package is available for just C$599 per couple—and if you book a group of 10 total guests (5 staterooms, including yours), AmaWaterways will waive the fee! Contact Travel Time for more details or to book. Romantic Weddings on Land or Sea! Love is different things to different people ... but few venues will rival the romance of a Holland America Line Wedding Cruise! An expert Wedding Consultant will handle all the details so that you can relax and indulge and be at your very best for the ceremony! 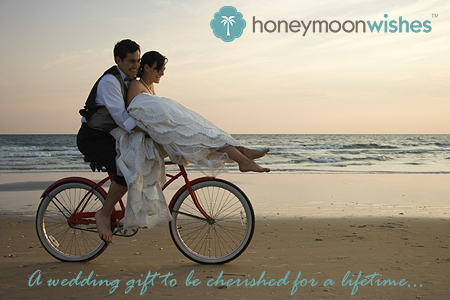 Have you heard of the Honeymoon Gift Registry? Instead of asking for some new china or a crock pot why not ask your friends and loved ones to help make your honeymoon vacation dreams comes true? It's all possible with our new Honeymoon Registry service - just CLICK HERE, register and start designing your ultimate getaway! Our professional staff will ensure you have the destination wedding you have always dreamed about. 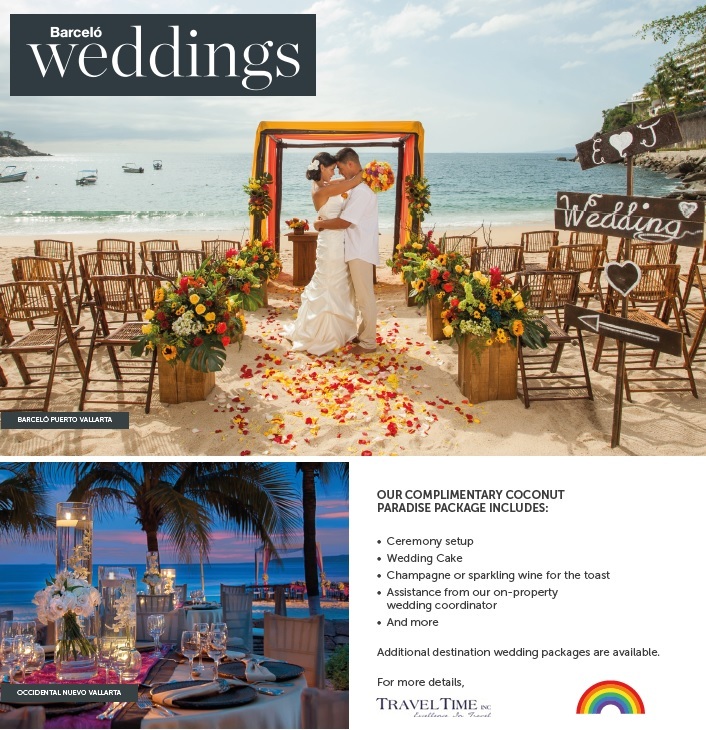 Contact our office today and ask to speak with a Destination Wedding Specialist!